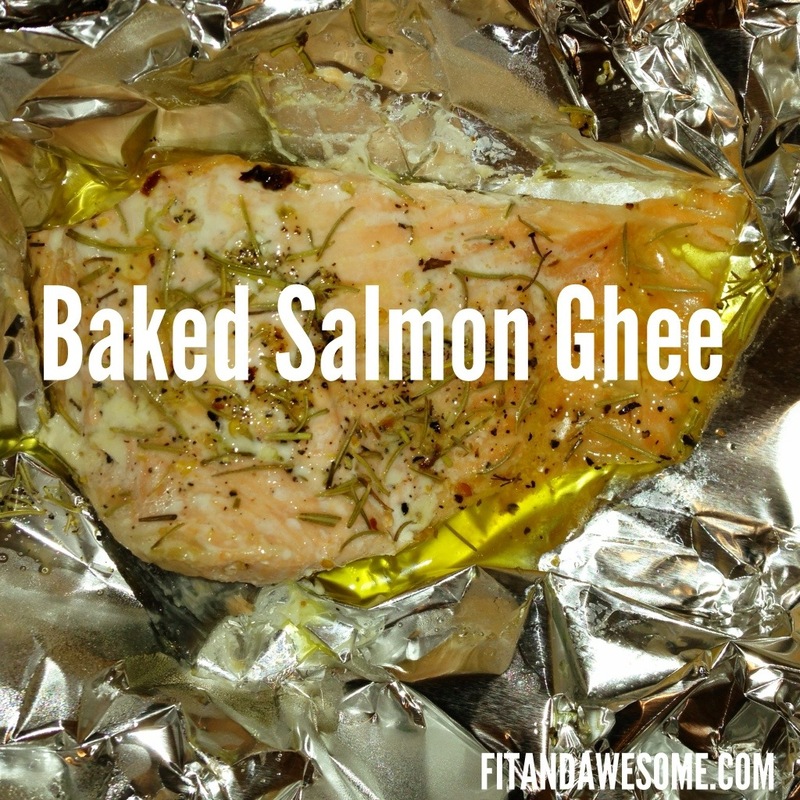 Sometimes you find an easy, simple recipe that just works and for me that recipe is Baked Salmon Ghee. I’ve been making it about once a week right now just because it’s so easy and there’s not a ton of mess to clean up. Before I continue, you may be wondering what ghee is. So, what the heck is ghee? Well, ghee is clarified butter and clarified butter is ghee. So the terms are interchangeable. Ghee aka clarified butter is a product where the water and milk solids have been separated from the butter leaving you with 100% pure butterfat. This process removes the casein and lactose from the butter which is usually the part of dairy that people have a hard time digesting. So, while ghee technically is considered dairy, it’s also considered to be okay to use as a fat source such as paleo and whole 30 because of this process. 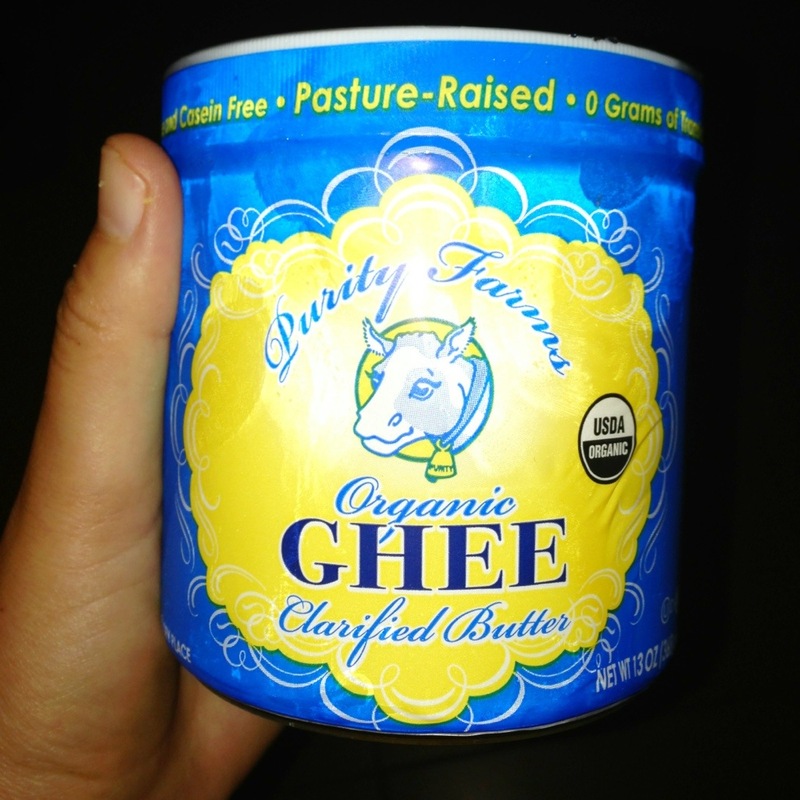 If you want to learn more about ghee, here’s a great article on 5 reasons to Love Ghee. Ghee. Found in the refrigerated section of your grocery store or here on Amazon. Herbs. I used sea salt, pepper, and rosemary for mine. Foil. To bake the salmon in. Take the salmon and cut into individual pieces. 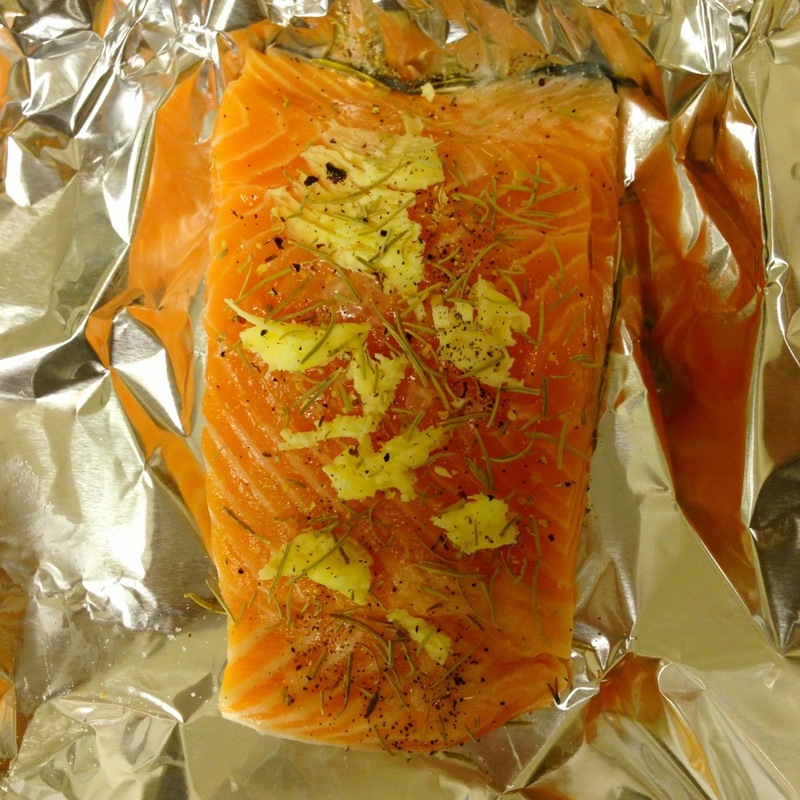 Tear a piece of foil for each piece of salmon and place in the foil. Put the ghee on top of the salmon. 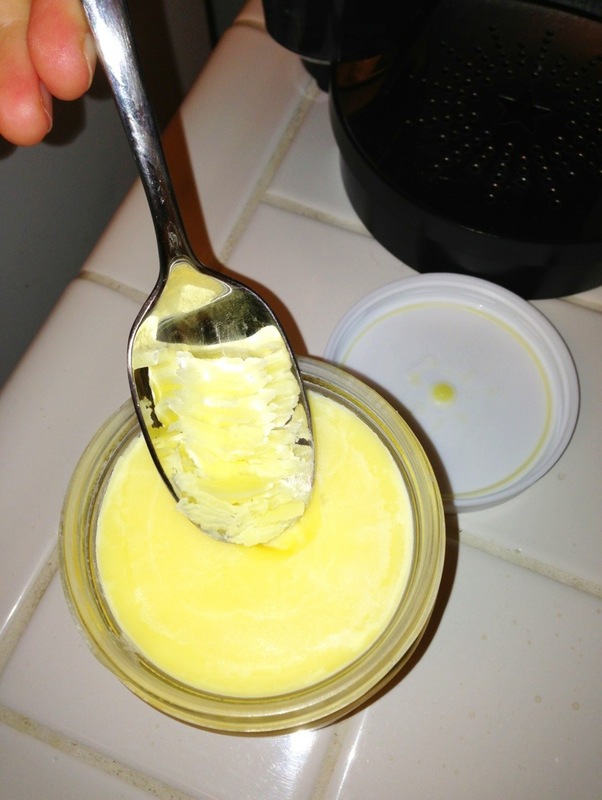 The ghee will be solid so you’ll have to spoon it out, break it up, and put it on top. Don’t worry, it will bake into the fish. 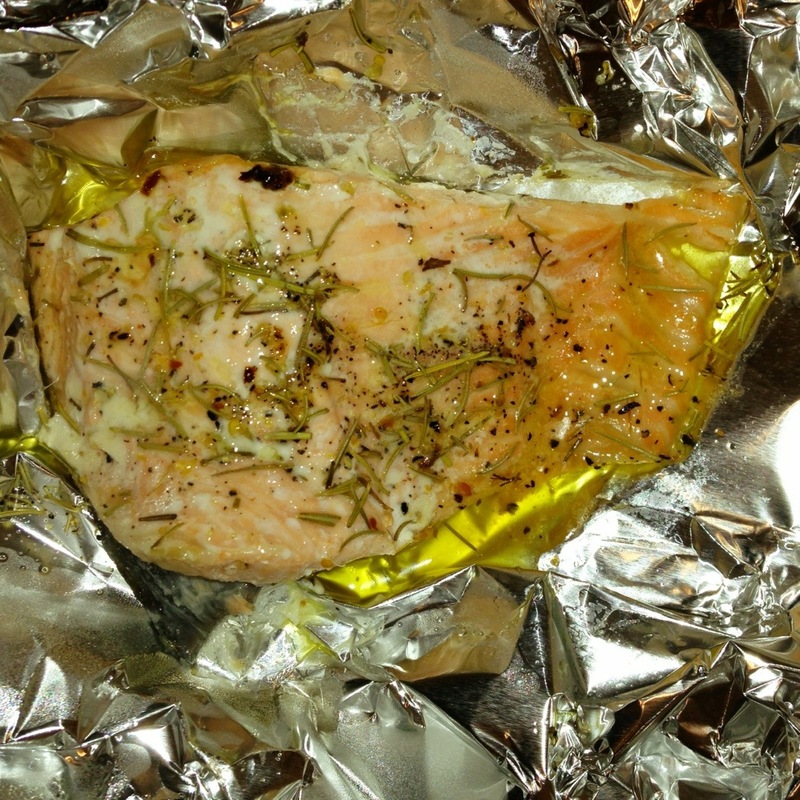 Sprinkle herbs on each piece of salmon. While the salmon is cooking I usually prepare a side dish which is usually some type of vegetable. I like to serve this with asparagus, green beans with slivered almonds, or a green salad. It’s really up to you. I trust you’ll be able to find a good side dish that is worthy of your salmon. That’s it! Easy peasy. Enjoy! What about you? Have you ever cooked with ghee? What side dish do you like with your salmon? Post in the comments and let me know.